Burton Safes are very good at offering custom made security solutions. Customers come to us with a problem and we will bring together a number of different products and skill sets to solve it. This often involves the use of modern technologies and so we make sure that we are kept well informed of the latest technologies. Currently we are able to use the most advanced locking solutions for vault doors, Paxos & Twinlock, as well as cutting edge Palm Vein recognition from Fujitsu, Finger Vein recognition from Hitachi and Fingerprint recognition from Secu/Burg Wächter. 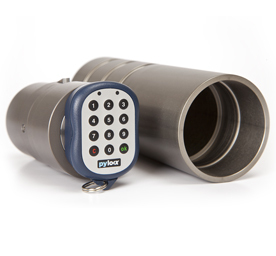 In addition we have intelligent key cabinets that monitor the presence of individual keys, electronic locks that do not require batteries or mains power, locks with special one time use codes and a number of wireless electronic locking solutions. For more details please contact us with your specific enquiry and we'll be very happy to help you.